At Noble West Animal Hospital, we truly care about pets in Noblesville and surrounding areas. Their safety and well-being are our first priorities. 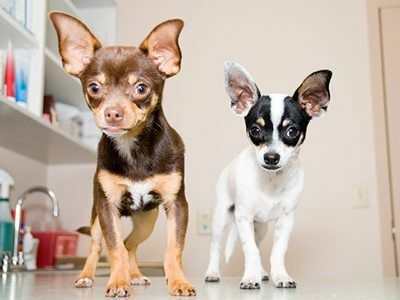 Pet vaccinations give needed protection from many dangerous, highly contagious animal diseases. The antibodies they provide are important for your pet’s immune system. We provide “core” vaccinations every pet should receive, including ones that protect against the most current threats and lifestyle specific ones. Sticking to a vaccination schedule for your companion is important; We’ll advise you on when you should bring them in for initial vaccinations and maintenance boosters. Rabies vaccination is required by law for pets in the state of Indiana. Leptospirosis is also a threat, so we vaccinate dogs from this bacterial infection. Both rabies and leptospirosis can be passed onto humans. Virulent canine influenza is a highly contagious version of the flu in dogs. Since virulent canine influenza is easily spread between dogs, surfaces or anywhere the virus lingers, we advise our clients to have their dogs vaccinated against this too. When you bring your feline friend in for a wellness visit with us, we’ll determine what vaccines they need to keep them healthy. Several “core” vaccines should be administered to them either every three years or every one year, depending on their level of risk exposure. Feline viral rhinotracheitis, otherwise known as feline herpes, is one the most common causes of upper respiratory diseases in cats, along with calicivirus. The panleukopenia virus can live on surfaces for up to a year and attacks cells in the intestines and bone marrow of cats. The distemper vaccine protects your cat against feline viral rhinotracheitis, calicivirus and panleukopenia. Kittens are much more susceptible to infectious diseases, so please bring them in for a wellness visit and vaccinations as soon as possible. Pets receive powerful antibodies in their mother’s milk to protect and strengthen their immune systems. After they’re weaned, they are left vulnerable to viruses. Puppies and kittens should start vaccinations during their first few months of life, somewhere between 6-8 weeks old. It’s important to stick to a vaccination schedule, because an incomplete series of pet vaccinations means incomplete protection. Many diseases are airborne and puppies and kittens can still be affected even if they stay indoors. Schedule a new pet’s wellness examination right away, so we can discuss a vaccination schedule and provide them with complete protection. Adult pets should receive maintenance boosters annually or every three years, depending on how active their lifestyle is. Please contact us with any questions or for more information about pet vaccinations.